Well, it’s that time of year…school is ending and high school seniors are graduating. It was just last year that I experienced this rite of passage for the first time with our oldest daughter. It’s hard to believe that she just completed her first year of college and is home for the summer! Even though I don’t have a child graduating this year, we have been invited to our fair share of grad parties, and I thought I would share some of my favorite picks for grad gifts! 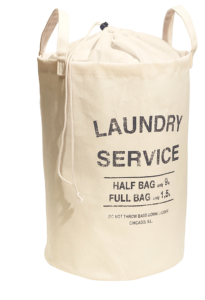 laundry bag…No matter where the graduate is headed in life, dirty laundry will be a part of it. Throw in a roll of quarters, detergent, and dryer sheets, or a Target gift card, and this grad will think of you every time he or she heads to the laundry room! echo dot…This little gadget can do just about anything…except that dirty laundry! And it’s the perfect size for a dorm room. shower caddy…My daughter had one similar to this her first year of college, and she really liked it. 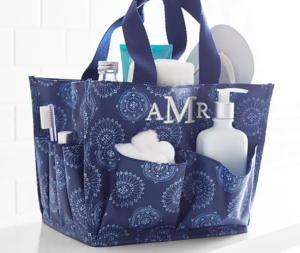 All those pockets and compartments make it perfect for carrying all the essentials to the dorm showers! Bonus…you can have it personalized with a monogram. Throw in a fun shower gel and soap, and your graduate will love it! 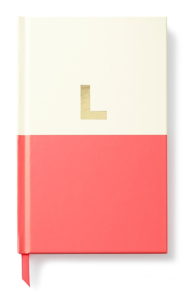 initial notebook…Perfect for keeping track of all those assignments, lists, schedules, and dreams in your life…AND I love the vibrant colors and gold-embossed initials! 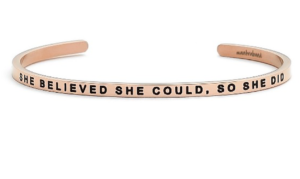 ‘she believed she could’ bracelet…This slender cuff bracelet would be great for reminding a special grad of the power believing in herself. It comes in gold, silver, and (my favorite) rose gold. 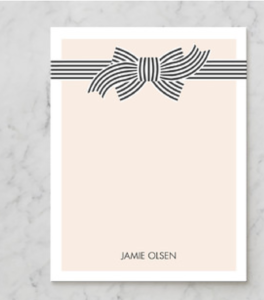 personalized stationery…I know we live in a world of technology, and most communication is done via text or email. However, every young adult should learn the fine art of letter writing and personalized stationery makes quite a statement! 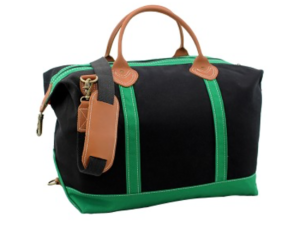 weekender bag…This canvas bag is perfect for those weekend trips home from college or to visit a friend! It comes in several colors, and it can be personalized with a monogram. Definitely a useful gift! 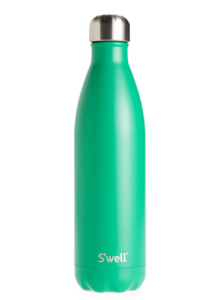 s’well water bottle…I must give credit to my daughter for this gift idea. She gave s’well water bottles to her friends in their soon-to-be college colors last year. A great idea for the guys, as well as the girls! They keep hot drinks hot, cold drinks cold, and they are eco-friendly. In case none of these gifts work for you, I would suggest the gift that all graduates love…CASH! What college kid can’t use some of that! !